Steven Malanga joins Seth Barron to discuss expanding efforts to legalize recreational marijuana use, a movement helped along by extensive misinformation about the drug’s supposed health benefits. Seth Barron: Welcome back to 10 Blocks. This is Seth Barron, associate editor of City Journal. Coming up on the show today, I talk with our senior editor, Steven Malanga about his piece in the upcoming Spring 2019 issue of City Journal, "The Marijuana Delusion." 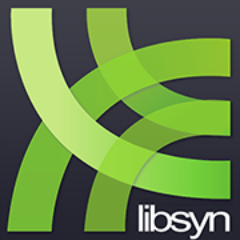 You can find it on our website and we'll link to it in the description. We'll have more news next week about some of the great essays you can expect in the Spring issue, so make sure you stay tuned for that. That's it for now. My conversation with Steven Malanga begins after this. Seth Barron: Hi everyone. 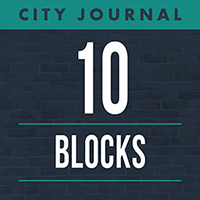 Welcome back to 10 Blocks, the official podcast of City Journal. This is your host for today, Seth Barron and associate editor for City Journal. Steven Malanga is a senior editor at City Journal and a senior fellow at the Manhattan Institute. His latest piece in the Spring issue of city journal is called "The Marijuana Delusion." Thank you for joining us, Steven. Steven Malanga: Well, you're welcome and I'm glad you clarified this is the official podcast of City Journal, cause I'm sure there are all these pirate podcasts out there. Seth Barron: There's too many of them to name. Steven Malanga: Stealing our trademark. Seth Barron: Right. So there's a national trend toward the legalization of marijuana. Now given its medicinal powers and the extent to which marijuana laws have contributed to mass incarceration. Isn't this trend a cause for celebration? Seth Barron: But doesn't the Safe Food and Drug Act or whatever it was called, from 1905 require for labeling, like if you say that something has certain properties, doesn't that have to be demonstrated in some way? Steven Malanga: So these medical, these medical marijuana laws or state laws, they've been passed by the individual states, they only have force within their own states. So there's no national brand marijuana medicine, if you will, that has been approved by the FDA that can be marketed in that way. But within, the states have control of their own borders and within their own borders, they can say the doctors can recommend this, which is essentially what happens. They don't prescribe it, they recommend it and then they can go to an approved dispenser and they can get, you know, a certain amount, they can purchase a certain amount. But there's very little evidence that it has any therapeutic power whatsoever. Now, the media rarely challenges the narrative that it does have therapeutic power. Even though we've got some very good studies, including this massive, more than 400-page report, by the Institute of Medicine, which is part of the Centers for Disease Control. The Institute of Medicine which points out that there are very, very few therapeutic, you know, uses of marijuana and those that are claimed to be therapeutic are in doubt. So what happens is occasionally you get a study that says, as one study said back in 2014, well, marijuana use might actually help people recover from opioid addiction. That one study has been repeated in the press hundreds of times, even though subsequent attempts, other studies' attempts to reproduce that particular result have proven to be fruitless. And not only that but several studies from 2018 suggested not surprisingly that in fact, marijuana use often leads to opioid addiction. Seth Barron: So why is there so much, why does marijuana gets such great press then if, as you say, there's not really any evidence that it does good. Who's backing it? Why does it get so much? Steven Malanga: Well, there's a whole series of steps leading up to what we have today. First of all, it got this kind of, you know, I mean it's got a kind of counter-cultural, you know, seal of approval going all the way back to the 60s and the 70s. It was cool. It was a way basically to chill out. It was a way to enjoy yourself. It wasn't harmful and in some ways, you know, those kinds of conclusions came from the fact that you know, people were doing drugs like LSD back then. The cocaine epidemic emerged in the late 70s and 80s, and those things had very demonstrable immediate effects. What we found over time though, and this is the kind of research that I cite in great detail in this particular piece, what, what researchers have found over time is that there are developmental problems with sustained marijuana use that are quite clear. It clearly has some relationship to, particularly for young people, people in their teens and 20s who smoke consistently. There clearly seems to be some problem with, those people become much more susceptible to psychosis to psychotic episodes and to long-term developmental problems. There's also a sense that because of that studies have shown some association between repeated and frequent marijuana use and aggressive behavior or violent behavior. And then there are studies showing women who smoke it while they're pregnant, that there are some developmental problems that their children have. So those are some of the things that, and again, I would urge people if you really want a summary of the stuff, you can go online. The Institute for Medicine at the CDC site. You can go online and look at the report, which is not only 417 pages, but it has a whole bunch of summaries of the different chapters, which tell you exactly what has been found, what's suspected and what still needs to be discovered. And that's an interesting thing about this report. It says there's still a lot we don't know. Even when we see associations, we don't know what's causing them and we need a lot more information. That's not what's happening in the states though. People are just kind of rushing forward. Seth Barron: Now, you said that there's a link between marijuana use and aggression, but that seems to run counter to the popular image of people who smoke marijuana as being kind of mellow, like you said, chilled out. Seth Barron: Or you know, a pot smoker may seem very nice when they're on it, but then if you take it away, you know. Steven Malanga: Yes. And it's important also to understand that in particular with marijuana, this is of course not the case by any means with everybody who smokes, and there are people, particularly people, this is important to understand, there are a whole group of people, including some of the people of wealthier people live in Silicon Valley who are supporting the legalization movement, who started kind of later in life. Maybe started it because they didn't, were undergoing some kind of a treatment like cancer treatments and were using it, you know, to ameliorate some of those impacts and they've become big supporters of this. By any means, not everyone who is a user develops the kind of things that we're talking about. But there are, the percentages are much higher for people, particularly people in their teens and in their twenties and thirties, still developing neurologically. The percentages of people who are developing psychotic incidents or becoming, showing a tendency towards violence are much larger than they should be. Seth Barron: Sometimes we hear that, oh, well today's marijuana is not like the marijuana of 40 or 50 years ago that, you know, agronomists and all of these, you know, botanists have spent all of this time perfecting and you know, increasing the potency of the strains. Is this like another cause for concern? Steven Malanga: Yeah, I mean, perfecting is an interesting word there. This is definitely, again to, you know, the common phrase is this is not your father's marijuana. The marijuana of the 60s, which was kind of like, grown by, you know, hippies and, or you know, or imported, you know, by people who were setting up, you know, distribution lines from Mexico. This was stuff that was grown kind of just locally. And since then there's been, especially with the legalization movement, there's been a lot of experimentation, a lot of hybridization and in particular, the power, if you will, the potency, if you will, is orders of magnitude larger with the stuff that we're seeing right now. It's not simply a bit, you know, I think we, you know, people in the 70s would talk about, you know, oh, this is "gold stuff from Mexico" and you know, it's going to work wonders. This is stuff that's way beyond what emerged in the sixties and seventies in terms of power. Seth Barron: A lot of jurisdictions want to push for marijuana on the, on the idea that they're going to get a lot of tax revenue. I think that's, you know, a big promise in New York, say. I mean, what have been the experiences of various states in terms of tax revenue? Is it, are they flush? Are they getting a lot of money? Steven Malanga: Well, a couple of things. First of all, initially definitely not. California is a very good example. They are experiencing disappointing tax revenues from their legalization, which is just a couple of years old now. And one reason for this is simply that when government legalizes and regulates and taxes something, it adds costs. This is true of everything that's, you know, within the public sphere. Pharmaceuticals is one area, alcohol's another area. And what's happened is there still exists a black market. And despite claims in virtually every legalization campaign, the advocates have claimed that the black market would go away. We'd rid ourselves of this particular, you know, illegal activity and the police could then focus on more important things. The black market actually not only persists but because it's difficult to tell, for the authorities to tell the difference between the black market and the legal market, the black market actually seems to increase in some of these states. The former US attorney of Colorado wrote a piece in the Denver Post back in September, talking about how the black market was actually out of control in that state, which has had legalization since 2012 and how the federal authorities have had to step in on the black market. In California, ironically, the advocates of legalization are now complaining that the state police are not doing enough to suppress the black market and that's one of the reasons why sales and tax revenues are not very, very strong. And so they're essentially saying that unless you suppress the black market, this legal market will never succeed. Which is ironic because the argument has always been that the legal, the black market will just disappear if we legalize it. And that's not, clearly not the case. Steven Malanga: It's a pricing issue. Because look, you're taxing it and the taxes, this is one of the things. Okay. So in one respect, marijuana is treated like other so-called, you know, "sin products." You have, you have what we call sin taxes. So taxes on things like tobacco, alcohol, gambling are always much higher than let's say sales taxes on, you know, I don't know toilet paper, right? The same thing is true of marijuana. So on the one hand, the government wants to tax it because there's clearly, you know, a desire to benefit from this, you know, from a budgetary point of view. So they want to tax it and they want to tax it at higher rates than let's say, you know, whatever your local sales taxes is on you know anything that you walk into a supermarket and by. But when you do that, and also, you require licenses because again, they're telling people when, when these legalization campaigns take place, they say, you know, what we want to do is we want to legalize it and regulate it the way we do alcohol and cigarettes, let's say. Right? So once you do that, you are creating a cost that the black market doesn't have to face, right? Seth Barron: Presumably, if you're selling it legally, you have to have a storefront. You can't just sell it from your bedroom. Steven Malanga: I'll give you an example. I'll give you an example. New York state, many states now tax cigarettes at very high levels. New York state taxes them at some of the highest levels. I've seen statistics that say something like 40 to 50% of all cigarettes sold in New York state are black market cigarettes these days. We don't really talk about this very much. Every once in a while the state says, you know, we've got to clamp down on this because we're losing revenues. But it's not, you know, it's, it, it, it doesn't resonate with the average person. But there's a huge black market even in cigarettes as we've increased the price in order to one derive more revenue from it, but two also to try to suppress, suppress the sale of it to make it so expensive that people won't start or will think of giving up. Instead, what many of them do is they turn to the black market. That's just a fact of life. Seth Barron: So if, you know, we're going to see kind of a re-criminalization, I guess, I don't know if it would be the same types of penalties. But this brings me back to the question that I started with. A lot of people have said that laws against marijuana are unfair because they target minority communities and have fueled mass incarceration and that alone is a reason to decriminalize marijuana. What can you talk, can you talk about, you know, to what extent have drug laws, pot laws locked up, you know, millions of people? Steven Malanga: First of all, it's worth pointing out that 9 of the first, 10 states that legalized did so through ballot initiative and referendum. Going to the average voter as opposed to going through the legislature. That's actually one of the reasons why marijuana has spread so rapidly in places where there's a popular vote. It allows the advocates, who are very, very well funded. There are very few people who run anti-legalization campaigns, of any substance because they just don't have money. It's usually the opponents are usually people like churches and police organizations, you know, law and order groups and they have very little money. So the advocates will run ads suggesting that this is a social justice issue and they're very careful in what they say. They say things like, and even the NAACP, which in some places has been strong behind legalization pushes, will say things like, you know, it's had a tremendous detrimental impact on our community by introducing so many of our members into the criminal justice system. It suggests mass incarceration and they are relying on people like reporters and the press to use that kind of terminology. The fact of the matter is very, very few people are actually arrested in most states for simple possession of marijuana, possession to use. In many cases when they are arrested, they're simply released. Oftentimes they've been arrested because of complaints from the community. As we know here in New York, there have been hearings where essentially the police have said, if you look at our patterns of arresting people for possession of pot, it's in places where there are the community is, is making 911 calls and 311 calls, which are quality of life calls, saying, you know, there are kids on my stoop, there are kids in the hallway of the public housing doing this and you know, we don't want this. Very, very few people actually ever wind up incarcerated. Usually, if they're held, if they been arrested for possession of marijuana, they're held because there's an outstanding warrant for something else or some other reason why, you know, why they're held. As you yourself have pointed out in our publication, The Beat, you know, at any given time, in any given day in New York City where you have about 8,000 people incarcerated, the number of people actually there for marijuana possession is an average of one a day. You know, that's, that's the average in New York. So, the thing is this, and this will tell you, I think a lot of what you need to know. If the social justice issue, were really the crucial issue then what we would all do very rapidly is decriminalize and many of the opponents of legalization, including many minority legislators, have been pushing decriminalization. Seth Barron: Well, what's the difference between decriminalization and legalization? Steven Malanga: There's a huge difference. And I have to say that even in a lot of polls basically, which show that a lot of people favor legalization if you look at the way the question is worded, the question actually asks people really, would you favor decriminalization? And even the people creating these polls don't seem to understand the difference. In decriminalization, you essentially don't make it in any way an offense to use marijuana, to have small amounts of marijuana whatsoever. However, you're not legalizing it. By legalizing, what that means is you create an entire industry which has the ability to not only sell it and retail it but to advertise it, to create new products, which is very common now in many states that have legalized it. You're seeing things like edibles for instance. You're seeing things that are meant to attract a bigger marketplace. So if you decriminalize it, you're saying, look, we're just not going to put people in jail for simply using this stuff. Okay? But we're also not going to create an industry which encourages people to use it more and to use new forms of it that are being created, if you will, to attract more users. And under that scenario, which is the scenario, for instance, that the head of the black caucus, the black legislative caucus in New Jersey, a former New York policemen, Ron Rice used to help defeat the first effort at legalization in the New Jersey Assembly, which was, earlier this month, last month actually, late March. Essentially what he did is he mustered the power of some of his minority caucus and other fellow Democrats and said, you know, we have a bill for decriminalization. If we're really serious about the social justice issue, let's pass this right now. And then we'll continue arguing about legalization and many of the advocates and, oh, no, no, no, no, you're not really achieving the social justice objective unless you completely legalize. And there's no real logic to that. Seth Barron: Well, I've heard a bunch of legislators in New York City, for instance, in New York State, you know, mostly, like, black and Latino legislators arguing that it needs to be legalized and the licenses and the revenue have to go to ameliorate the problems of mass incarceration in the past and all of these sort of over policing, and that, I guess decriminalization wouldn't be enough because you need to establish franchises. What do you make of this argument? Steven Malanga: Well, I mean, there's no logic to that argument because number one, what they're essentially saying is if we create this giant industry, then what we can do is we can have minority set-asides like we have in everything else. You know, when you want to build something in New York these days, when government builds something, it has certain minority set-asides, so some minority contractors come in. So what we want to do is have minority contractors come in and get a piece of this action and somehow that will pay back for arresting people in the community, over the years. As Senator Rice in New Jersey says, if you look at places that have legalized marijuana, virtually all of these places have what is known as an "opt-out clause" in which communities can say, we don't want any of those shops in our community. Almost, suburban communities in most of these states tend to opt out. And as Rice says, what happens is these shops are being located in our communities. That's where they're gonna wind up. I don't see how you see that as accomplishing any social justice initiative. I mean, you look at Colorado and interesting, almost 60% of the people in Colorado who voted, voted to approve legalization. However of 300 and I think 20 communities, municipalities in Colorado, 230 have opted out. In California, only 82 municipalities haven't opted out and they're almost all cities, big cities where you have minority populations. So what Rice is saying is, you know, look at the hypocrisy here. We legalize and then all the suburban communities say, we don't want it. So where do you think it's going to wind up? Seth Barron: So, it's an interesting phenomenon. I mean, nationwide we've seen, for instance, vaping, there's been a big movement now to crack down on vaping and people saying that e-cigarettes are marketed towards kids and encourage children to use nicotine because they're flavored. But in your piece, you talk about a similar phenomenon going on with the marketing of marijuana, but we don't see the same push-back. What's, what's going on here? Steven Malanga: Well, that's a good question. I mean, part of it is that there is this aura about marijuana and legalization. Like it's this, you know, it's like the flower, you know, movement of the 60s reborn and it's seen as holy good. Where something like vaping, which is controversial but very interesting because there is a therapeutic value to vaping for people who are addicted to nicotine, it helps wean them off. At the same time, at certain levels, you know, underage levels it seems to be being abused and so how to regulate that is, you know, it's very controversial and, you know, people get stuck in an either-or discussion here. Marijuana, if you think about one, forget about vaping, just think about how anti-smoking we are in this society. Granted, okay, that's actually that has tremendous health benefits to reduce or as much as possible, you know, cigarette smoking, yet marijuana has all of the same properties as tobacco. It's in terms of what it does to your lungs, how it influences your health, just smoking, forgetting about even just, you know, the impact, the neurological impact. And yet, you know, we're legalizing it, you know, and there's very little talk, people, about, you know, suppressing this. Particularly let's say even, you know, making sure that young people don't get involved in this. It's a weird dynamic and I think it's because, again, marijuana has got this reputation as being harmless, you know, at worst and therapeutic, at best and in the meantime, we are waging this jihad against cigarette smoking, which is justifiable, but I'm not quite sure why the same thing isn't justifiable against marijuana smoke. Seth Barron: It's curious. Back in the 70s when cocaine became popular, it was touted as non-addictive, harmless, like having like a strong cup of coffee basically and then very quickly people found out. Steven Malanga: Didn't take very long to figure that out. And it's interesting that you know, as I say in my piece if you look at the history of legalization, there was a legalization movement in the 70s also. And that movement also revolved around, first of all, just, you know, there were kind of loosening of standards in the 60s and the 70s and a lot of college students were smoking pot and so there was a movement that started with the decriminalization. And in fact, a bunch of states started decriminalizing and that seemed like it had tremendous momentum. Even President Carter in the late, in the late 70s, essentially endorsed the idea. What happened, however, is that as the cocaine epidemic spread, people made associations between marijuana and cocaine and they weren't necessarily unrealistic, you know, or wrongheaded associations. Because again, what some of the early research found is that people who were regular smokers of marijuana, were more likely to move on to cocaine.and that actually helped kill the original legalization movement in the 70s. It really, but I mean the country's turned so anti-drug because the ravages of the cocaine epidemic were just, I mean, for those of us old enough to remember what it meant in terms of not only lost lives but rise in crime, the addiction that went along with the rise in crime, this was an enormous focus of the country in the early 80s and the mid 80s. We remember, you know, people make fun of the "just say no" campaign, but it seems to have actually had, you know, a demonstrable effect back then. Seth Barron: It's amazing stuff, Steve, and your piece is a real eye-opener. I hope everybody reads it. It's online right now at city-journal.org where you can read that and it's coming out in hard copy very soon. You can read that and the rest of Steve's amazing work. We'd love to hear your comments about today's episode on Twitter @CityJournal #10blocks. Lastly, if you like our show, the official podcast of City Journal, please leave ratings and reviews on iTunes. This is your host, Seth Barron. Steven, thanks so much for joining us.